Through the space repeater TürkmenÄlem 52.00E, 35 television and radio channels are transmitted to the territory of Central Asia, Iran, Turkey, North Africa and Europe, it is reported by Trend with reference to the information of the newspaper "Neutral Turkmenistan". Negotiations are underway to lease a Turkmen communications satellite transponder with Arab and Belarusian broadcasting companies, the information says. At this stage, 10 out of 26 transponders are involved. STN (Slovenia), WNS (United Arab Emirates), CETeL (Germany) use services here. In addition, services via teleport are used by companies operating in the oil and gas sector of the country's economy - RWE Dea AG, CNPC, BKE Shelf, PETRONAS Carigali. TürkmenÄlem 52.00E provides stable communication and the Internet to remote villages located in the Karakum desert. We recall that the launch of TürkmenÄlem 52 ° E took place on April 28, 2015 from Cape Canaveral (Florida, USA). The satellite has 38 active communication channels – transponders. 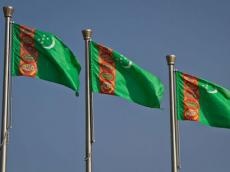 26 of these are used by Turkmenistan, the remaining 12 have been transferred to Space Systems International-Monaco S.A.M. TürkmenÄlem 52.00E is capable of providing satellite telephony, data transmission and other types of communication between ground stations located at distances of up to 10-15 thousand kilometers from each other.